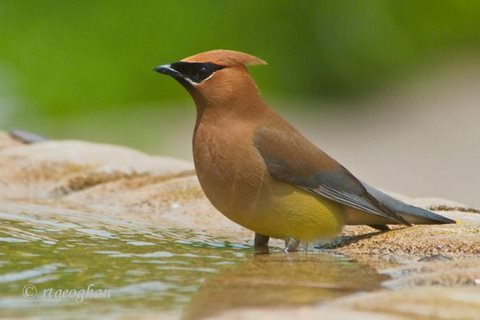 Nature photographer R. T. Geoghan has taken a lot of great shots at DeKorte, including these recent shots of a Cedar Waxwing and a Baltimore Oriole taking at bath at the fountain in the Jill Ann Ziemkiewicz Butterfly Garden. She has put all of them on her website. 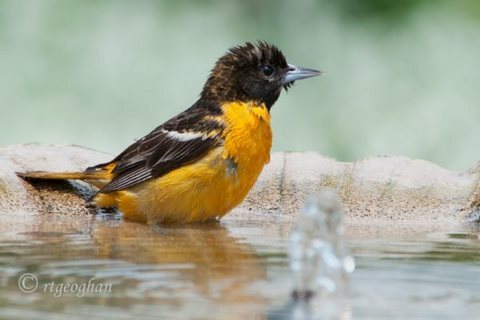 More bathing birds here. She also has great scenics of DeKorte here.